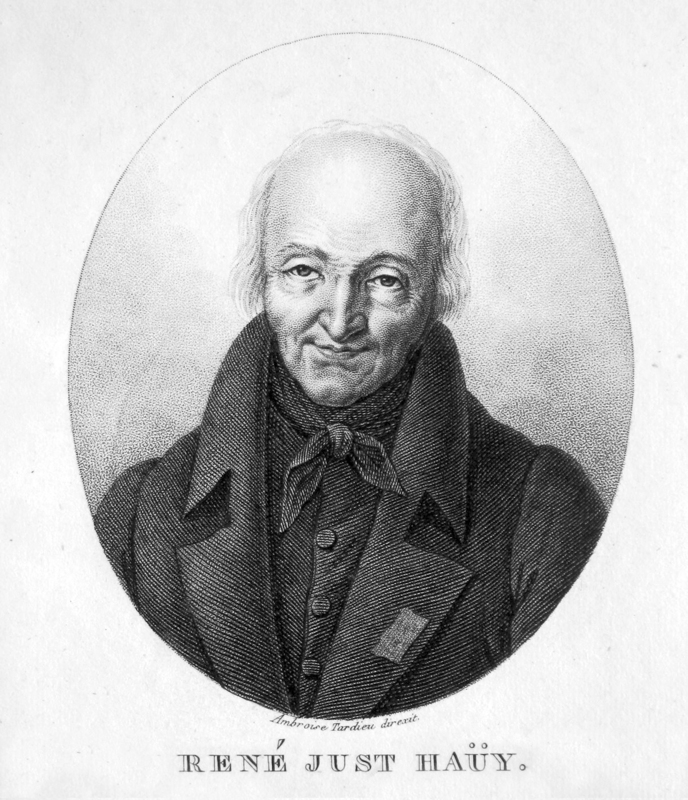 After briefly presenting early hypotheses on the submicroscopic origin of symmetry and polyhedral morphology in the crystals, the structural model proposed by Haüy in 1784, based on the periodic repetition of integrant molecules made up of simple molecules, is discussed. It is then highlighted how – through investigation of crystal hemihedry, isomorphism (mixed crystals) and optical activity – researches aiming at overtaking drawbacks of Haüy’s model brought basic ideas to achieve the modern knowledge of the atomic structure of matter. The atomic-scale interpretation of properties of the crystalline state soundly contributed, among others, to properly define molecules and atoms, determine the atomic weights, hypothesize stereoisomerism, build the periodic table of elements and define ionic radii and bond. Giovanni Ferraris is Emeritus Professor at the University of Turin and a former Professor of Crystallography at the same University. He is fellow of the Lincei National Academy (Rome) and of the Turin Academy of Sciences. His main scientific contributions are in the fields of modular crystallography (polysomatism, polytypism and twinning; co-author with E. Makovicky and S. Merlino of Crystallography of Modular Materials, Oxford, 2004 and 2008) and of porous mineral phases (co-editor with S. Merlino of Micro and mesoporous mineral phases, Washington DC, 2005). Recently he moved to the history of science, e.g. publishing articles devoted to the crystallographic contributions of Amedeo Avogadro and Quintino Sella.